ALL An Post deliveries in Dublin City Centre will be made using zero emission vehicles by the end of the year as part of the company's efforts to battle climate change. 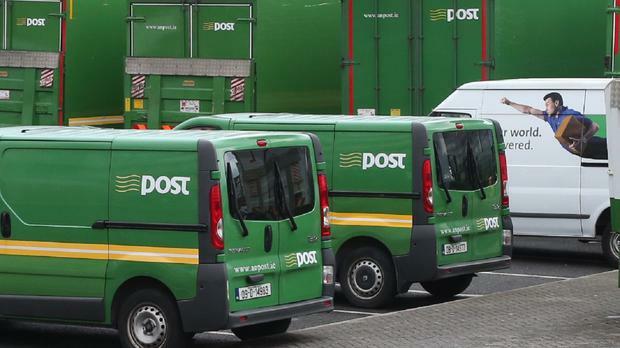 It has also announced that zero emission postal deliveries to Cork, Galway, Kilkenny, Limerick and Waterford will be in place by the end of 2020. An Post is investing in 750 electric vehicles - both delivery vans and cycles - to replace its urban fleet by 2022 with 200 of these on the streets this year. There is to be "eco-driving" training for all drivers to ensure best practise driving in all vehicles and for all road and weather conditions. In all, initiatives to be introduced this year will save 1,000 tonnes of carbon a year. Communications, climate action and environment minister Richard Bruton said An Post is "leading by example" in "recognising the urgency of taking action in adapting to the changes that are needed" to combat climate change. He said: “We must step up Ireland’s response to climate disruption. An Post chief executive David McRedmond said his company is moving from the "old world of mail to the new world of e-commerce" and that sustainability has to be the guiding principle for the business. Meanwhile, the two electric vehicle charging points have been installed at Leinster House and there are plans to roll out further charging points in the near future. The Leinster House charging points will be available to the An Post electric vans.